Perfectly suited for a man! 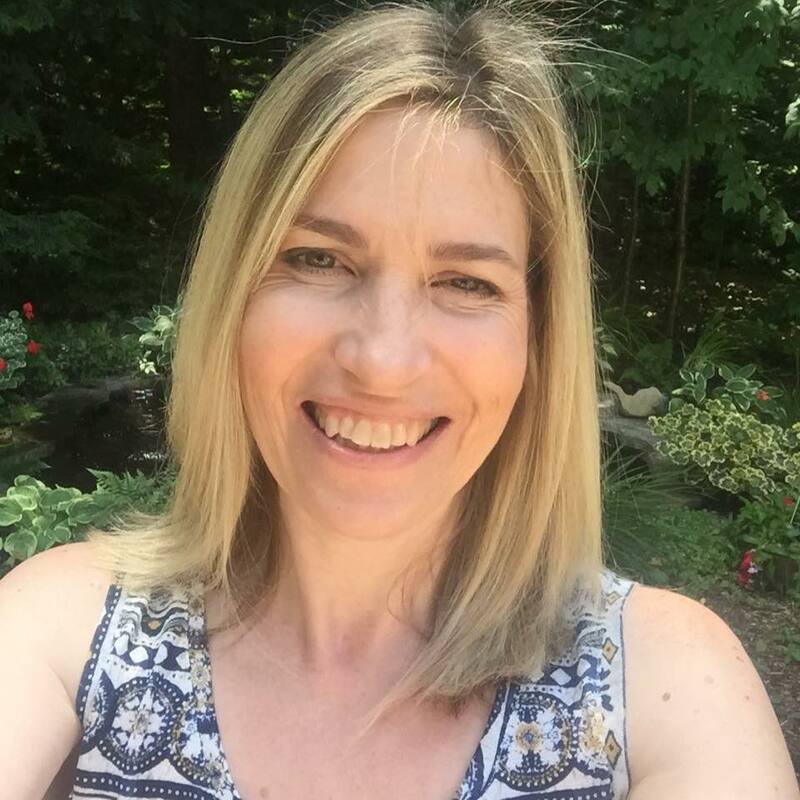 Beautiful choices Tracey! Wonderful masculine card. I can definitely see how this would work for both a man or woman. Wonderfully clean, crisp and cheerful Tracey! So glad you played along with us this week at CAS(E) this Sketch! Every time I see this layout, I like it more and more. Your card is perfect for a man, and could work for a woman, as well--no changed needed. What a beautiful card. 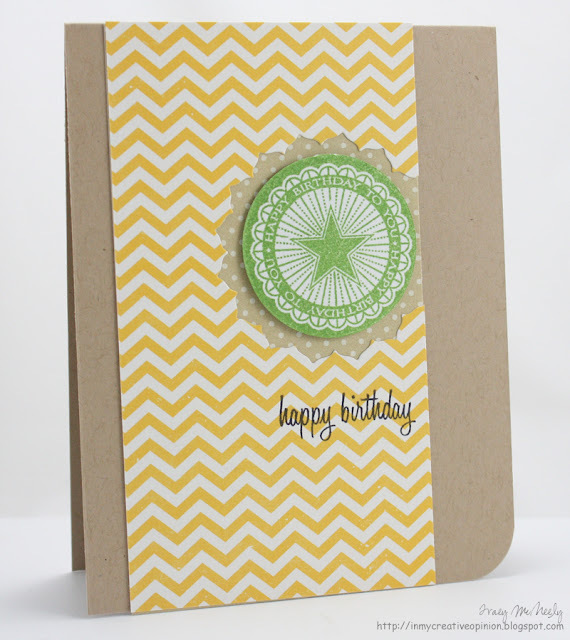 Love the cut out and dotted background...and those trendy chevrons really make this a WOW project. Love the yellow and green together! THis is awesome....I wanted to play with this sketch but didn't make the deadline. I still think it's awesome though! Love the fresh colors. Fantastic! Such fun colours and patterns, love those subtle polka dots in the bg too! I love those chevrons. Great guy card Tracey! Ooooh this is FUN Tracey! 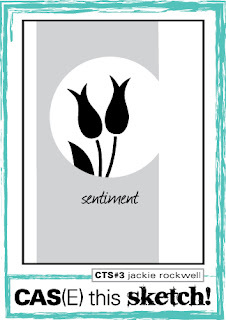 Love the patterns and the tiny polka dots peeking out behind that cute sentiment circle. You did a fantastic job casing that layout. I too think chevrons are perfect for masculine cards. 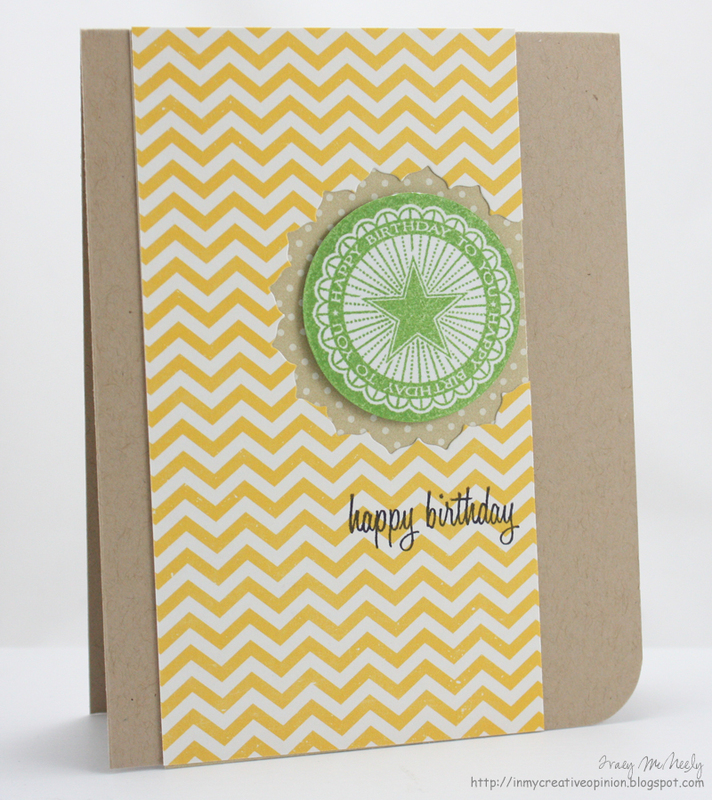 yes this works as a masculine card-love the chevrons! yellow green and kraft? EXcellent! What a great idea for a masculine card...I HATE making them! The color choice was wonderful and I love the chevron paper for a man! Oh I LOVE this, Tracey!!! Those colors are perfect together! I've never used that combo. So happy and cheery! Definitely could work for a man ~ love the chevrons!